These eco-friendly airtight Food and Herb Storage Containers are better for you, better for the planet, and super durable! 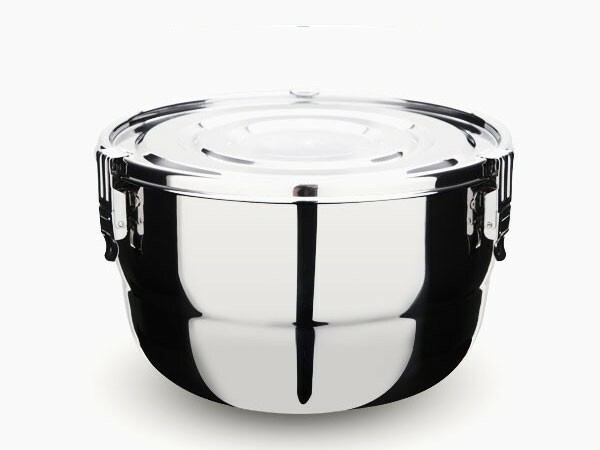 Great for pantry food storage, pet food, and leftovers. I bought several of the 1 gallon Onyx containers for storing flour and other dry goods in the pantry. Glass containers large enough to store 5 pounds of flour are too heavy to lift up and down the top shelves of my pantry. 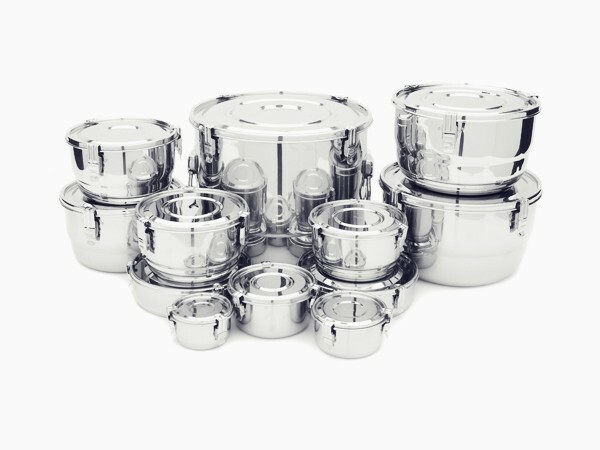 These Onyx containers are stainless steel (no unsafe chemical out gassing), air tight and water tight so food stay dry & insects can't get inside, and, still light enough to handle when filled with 5 pounds of flour. The 1 gallon size Onyx containers are large enough to store more than 5 pounds of flour. These containers are well made and stacks well. Great product. excellent quality perfect seal, good for pantry storage or short term in fridge or my favorite as a carry along dish for church or club. but your review process is too complicated. These eco-friendly airtight Food and Herb Storage Containers are better for you, better for the planet, and super durable!